January’s Positive Change recipient is Youth Farm, an organization that provides year-round urban farming programs for youth ages 9 to 24. Since 1995, they’ve cultivated youth leadership by planting, growing, preparing, and selling food throughout the Twin Cities. Youth Farm currently engages well over 200 youth in St. Paul to increase their food skills and knowledge while providing greater access to healthy food through cooking classes, school activities, and community events. Donations raised at the register throughout January will support school year programming in the Frogtown and West Side neighborhoods of St. Paul. Youth Farm school year programming focuses mainly on nutrition education and healthy eating classes, youth leadership activities, and food growing to promote healthy bodies and minds. Children who participate develop and nurture healthy relationships with the food they eat while contributing to their communities and creating neighborhood connections. Summer Program – For three days a week, anywhere from 50-70 youth spend six hours a day splitting their time between farming and growing, lunch and cooking activities, and community based projects. 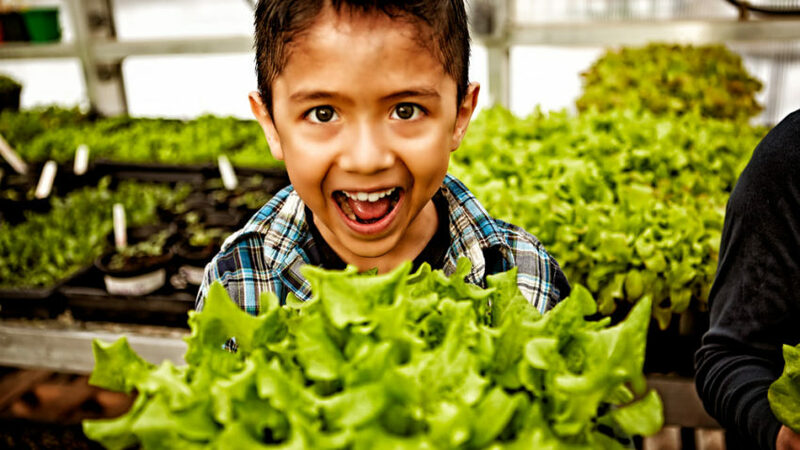 School Year Programs – Youth continue a variety of after school farm classes, cooking classes, monthly community meals, as well as in school and after school greenhouse classes. There are as many youths in the school year as in the summer, even in Minnesota, with the addition of greenhouses and leadership curriculum.